Metric – Art of Doubt: Help, they’re still alive! In Brief: Metric comes back strong with a bit more rock energy than heard on 2015’s Pagans in Vegas, without losing the electronic flourishes that have always made them stand out. A handful of songs here are formidable not only due to their strong choruses and riffs, but also their sheer length. But what starts out as a good thing threatens to weigh the album down by midway through, making the last third of this hour-long disc a bit of a chore to finish. 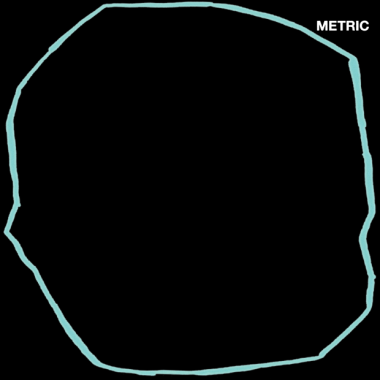 Trimming a little of the fat would have made this album a home run, but it’s still a solid outing for Metric that shows they’ve got plenty of gas left in the tank. Here’s the cream of the crop, folks – the list of albums that captivated me most in the year 2015. While some of these picks are likely about as predictable as the likelihood of a YouTube comments section devolving into a vicious political flamewar, there are a few cases here where I genuinely surprised myself by falling in love with an artist or even a genre that I had previously decided was “just not my thing”. I hope the music that comes out in 2016 challenges me in similar ways.